Today, (August 16th,2017) Microsoft made a statement saying that they are going delay the launch of Crackdown 3. The initial release date was set for November 7th, but Microsoft delayed to spring of next year. 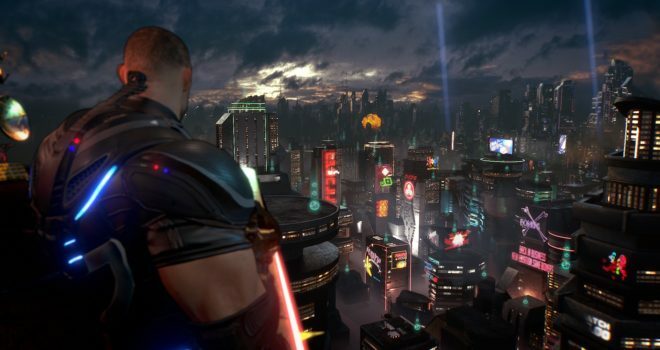 Crackdown 3 was announced back at e3 of 2014. For three years, Crackdown fans have been waiting for this game to come out. Fans were really excited to see the game release along side the Xbox One X, but Shannon Loftis, Microsoft Studios Publishing general manager said that they “want to make sure to deliver the right game, with the right quality, and at the right time.”. She also went on to say that “Crackdown is an incredibly ambitious project that pushes the technological envelope with immersive true 4K gameplay,cloud-competitive multiplayer, and a sprawling and futuristic open world. When we get an official is uncertain as of right now, but although Crackdown fans wanted this game to realase along side the Xbox One X, the new Xbox will get some exclusive titles like Forza Motorsport 7, Cuphead, PlayerUnkown’s Battlegrounds, and Super Lucky’s Tale, which will definitely benefit the Xbox One X in the end.